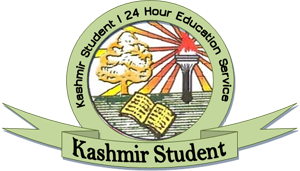 The University of Kashmir is all set to start a two-year Masters Programme in Information Technology (M.Sc IT) from this academic session. The course, approved by the University Council, will be run by the Directorate of Information Technology and Support System in collaboration with IIT Bombay. 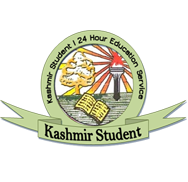 It has been designed as a specialized, practical-oriented professional course which offers specialization in VLSI and Hardware Design technologies– one of the very first in the state, Director, Information Technology and Support System, University of Kashmir, Dr. (Er. )Me'raj-Ud-Din Dar said. He said the main aim and objective of the programme was to exploit the business as well as employment opportunities associated with the Information and Communication Technologies. In addition, the programme aims at exposing the students to latest technologies in demand in the IT market across the globe, the director IT said. Dr Me'raj-ud-din Dar said the special advantage of the University's new offering under IT&SS was its vibrant set of collaborative arrangements with a number of leading IT organizations. IT&SS has existing collaborations with Intel, Microsoft, HP and Oracle. Having successfully implemented e-governance in the University and affiliated colleges during the last three years with its focus on quality and human resource development, the Directorate of IT&SS is all set to leverage its available expertise and infrastructure for the benefit of students. Dr. (Er.) Me'raj-Ud-Din Dar added, "Our main aim is to give the students a real exposure to the industrial culture so that they are employable directly after completion of the programme." IT&SS has recently established a fully-equipped VLSI and Embedded Systems Laboratory in collaboration with IIT Bombay. The course syllabi for M.Sc IT have been reviewed by eminent Professors from IIT Bombay and the trainings of the concerned faculty are also being conducted by the IIT under its CEEP programme. Admissions shall be made on the basis of an entrance test to be conducted in March/April this year. Students with B.Sc IT/BCA/BBA or graduation with 50 percent marks and having Mathematics as one of the subjects at 10+2 level can apply. Initially, the intake capacity is set at 40 seats. The entire programme is being run of self-financing basis by the Directorate of IT&SS with no financial implication on the University or the State government.